We are excited to announce that our next meeting will be with iZotope! They are a music software company based out of Cambridge. Two research members, Gordon and Matt, will be discussing their new, innovative software, Neutron! This essentially uses signal processing and machine learning in order to automatically master music tracks. Come grab a slice of pizza and learn about the future of making music! 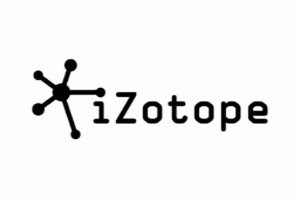 Izotope is a music software company from Cambridge, MA which is using machine learning to change the way music is made. Their latest product, Neutron, automatically picks presets based on how a track sounds and includes a “masking meter” to automatically identify when sounds in the mix are not being heard. Join us to learn more about these features, and how machine learning is poised to change the music making process. Gordon P. Wichern is currently a member of the research team at iZotope, inc. where he focuses on applying novel signal processing and machine learning techniques to music and post production workflows. He was previously a member of the Technical Staff at MIT Lincoln Laboratory where he worked in radar signal processing and co-developed a series of workshops related to building DIY phased array radar systems. He received his B.S. and M.S. from Colorado State University in electrical engineering and his Ph.D. from Arizona State University in electrical engineering with a concentration in arts, media and engineering, where he was supported by a National Science Foundation (NSF) Integrative Graduate Education and Research Traineeship (IGERT) for his work on environmental sound recognition. He is a member of the AES, IEEE and the IEEE Signal Processing Society, and has several refereed publications related to applications of signal processing, machine learning, and psychoacoustics. Matt’s background in audio, music and future technologies began at Nimbus Records, a UK-based classical recording label with a pioneering focus on innovative recording technologies, including ambisonics. His work at NIMBUS led to a Midem award in 2009. A keyboard player by night, his passion for sound and music led to Boston, where Matt freelanced as a sound designer for a variety of AAA video games and film projects after receiving his Bmus in Music Synthesis / Electronic Production and Design at Berklee College of Music. Matt’s experience of various technological successes (and humble failures!) ultimately led to iZotope, a leader in audio technology and innovation. Since joining iZotope, he’s worked with, and led the teams responsible for; the Emmy-award winning RX audio post production product family, Ozone; the renowned audio mastering product family, and most recently Neutron, a major leap forward in the world of audio mixing, in addition to VocalSynth and other creative initiatives.